← Why choose white fillings? For 60-70% of adults, teeth grinding is occurring on their teeth, and most people don’t even know it! How can someone tell if grinding is occurring on the teeth? A dentist can point out and take pictures of a patient’s teeth. There will be various amounts of wear on the teeth attributed to grinding or the bruxism habit. 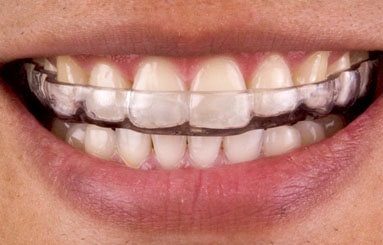 In addition, dental craze (i.e fracture) lines on the teeth may be present- especially, if one has a clenching habit. The forces of grinding or clenching can lead to the fracturing of teeth. In some cases, a crown may be needed to replace the fractured tooth. In other situations, a root canal and crown may be needed. In the worst case scenario, the tooth may need to be extracted. Most people ask me what is the solution? The issue is that most people are in a deep sleep while grinding is occurring. So, it is very difficult to try and stop the habit because it is subconsciously occurring during sleep. What I recommend is a night guard. It is fabricated from hard acrylic, yet it is softer than naturally, hard tooth enamel. The hard acrylic provides stability for the bite. 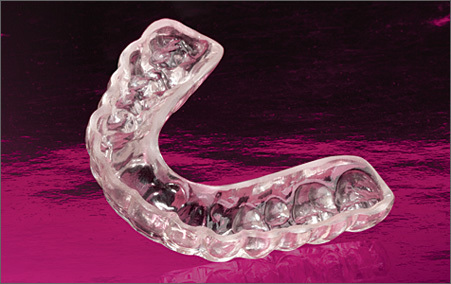 The soft over-the-counter guards can change the bite over time and sometimes, the teeth will not touch after a few months of wearing the soft type of night guard. The type I usually make for my patients, have a soft inner liner inside of the night guard. This type of guard is more user-friendly. It provides a cushion to the teeth so the guard is more comfortable. What is the fabrication process? Impressions are taken of the mouth and sent to a special dental lab. The night guard is delivered to the patient and any necessary adjustments are made. It will usually take a few weeks to get used to wearing the guard. However, those few weeks will translate to healthier, happier mouth!